The importance of water is a critical factor to your health. Polluted foods, polluted water, polluted air, and polluted lives. 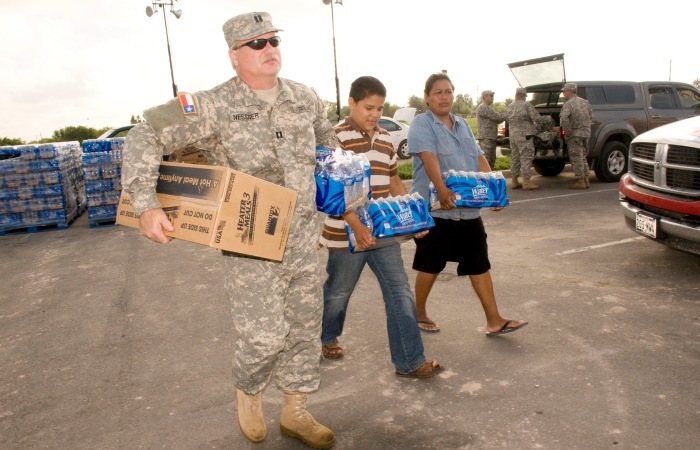 When natural disasters happen, such as the recent hurricane in New Orleans, having access to healthy water is a critical issue and a priority for survival. Every cell within your body should be soaked in water at all times. Water is important in keeping your body strong and healthy. Approximately two-thirds of the adult human body is composed of salt water. Humans drink fresh water, but we are actually saline. Simply taste a tear or a bead of sweat for its salt content. This is one reason humans need to drink ample fresh water every day. It keeps the body’s salt concentrations low, easing stress on the kidneys and cardiovascular pathways. Plus, the average adult eliminates approximately eight cups of water a day by sweating, urinating, crying and salivating. It is essential to replace what is lost. Drinking lots of water eliminates toxins, too. Fitday.com tells us, “Water allows your kidneys to remove toxins from your body. It allows your cells to take in nutrients.” If you are exposed to environmental toxins or unsanitary conditions as those that occur after a natural disaster, keeping your body saturated with fresh water will help eliminate toxin exposure quicker and more efficiently than drinking other various liquids. So get into the habit of walking around with a bottle of water all day long. You’ll have more energy, feel better and feel full, plus flush out toxins quickly. As our planet becomes more crowded and polluted, and some of us become unfortunate victims to natural disasters, human beings must maintain healthy sources of water. As farmlands shrink amid expanding cities and the quality of drinking water decreases, the cost of producing, cultivating and transporting proper nourishment amplifies. It is at this point, the importance of pure drinking water must never be taken for granted. Toxins activate certain natural enzymes in the body. These enzymes diligently work to transform toxins into water-soluble substances that can be excreted from the body. Both drinking lots of water and sweating help eliminate these toxins. But, if the toxic load gets high enough to saturate the fatty tissues, the toxins can deposit in the body organs and in the brain. Over time, contamination can accumulate, creating a form of body pollution that can result in disease. You can see these same types of sludgy-deposits along riverbeds and shorelines, but you can’t see them inside of your body. This doesn’t mean they’re not there. Toxic residues commonly block oxygen flow and can inhibit the ability of nutrients to reach your individual cells. Due to the inability to breathe and be nourished, the cells typically mutate, making themselves susceptible to cancer and other diseases. Pure water within your body protects your cells from the damage toxins cause. Water aids in eliminating toxic chemicals. If pollutants continuously enter your body, more and more water is needed. 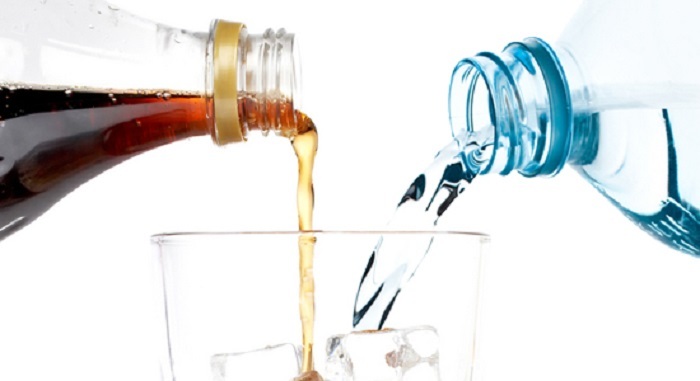 The cleansing cycle goes on until the body is completely purified and saturated with water – not iced tea, not diet colas or powdered drink mixes, nor a cold “brew.” Your body has a greater chance of purification if you supply it with the right nutrient “tools” such as a bottle of spring water, especially if you are exposed to environmental chemicals. Are you drinking enough water? Try this experiment: Rub the palms of your hands together like two sticks sparking a fire. Keep rubbing until you feel your hands getting warm and moist. The faster your hands become moist, the more water you have in your body, which is good. The longer it takes to feel any moisture, the more dehydrated you may be. If you naturally have dry skin, you need more water in your diet. 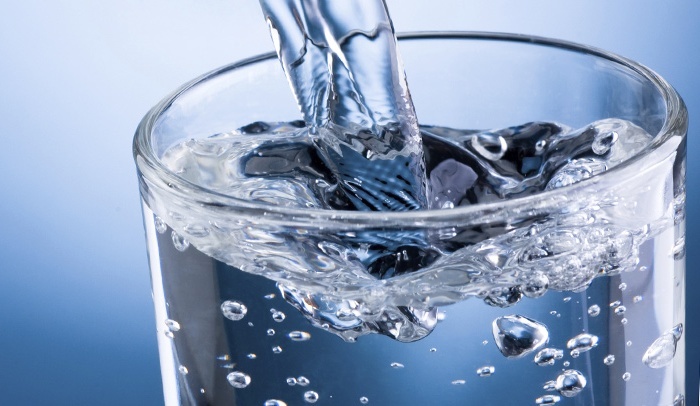 Keeping your body hydrated with water also lessens wrinkles and the effects of aging. People from cultures around the world who drink only water throughout the day, such as Native and Indigenous Indians, enjoy many years of beautiful and youthful skin. They also have a lower incidence of colon cancer. And drinking water may actually help you lose weight. Simplify your life by drinking ample amounts of pure water every day.